Rules and laws concerning plastics are more restrictive. Europe and France are trying to limite the use of plastics for packaging. Paper leaves of BioEM are made in France. It is a white kraft paper with vegetable wax : 100% biodegradable. High quality resistance to liquids, oils, gas, flavors. 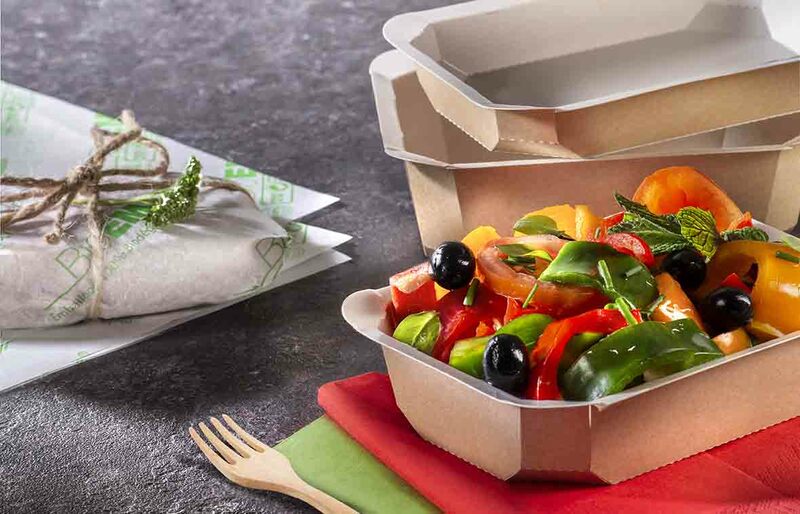 We innovate with 100% recyclable trays made in France. This new generation of trays made with pure wooden paste is waterproof and goes to micro-wave. Available in 3 standard sizes you can use it with your current seal unit. You can customize your trays from 5000 units. Designers will help you to do your own tray with your graphic charter. Please consult your sales consultant for more information.